Credit: NASA. Download this image (JPG, 146 KB). 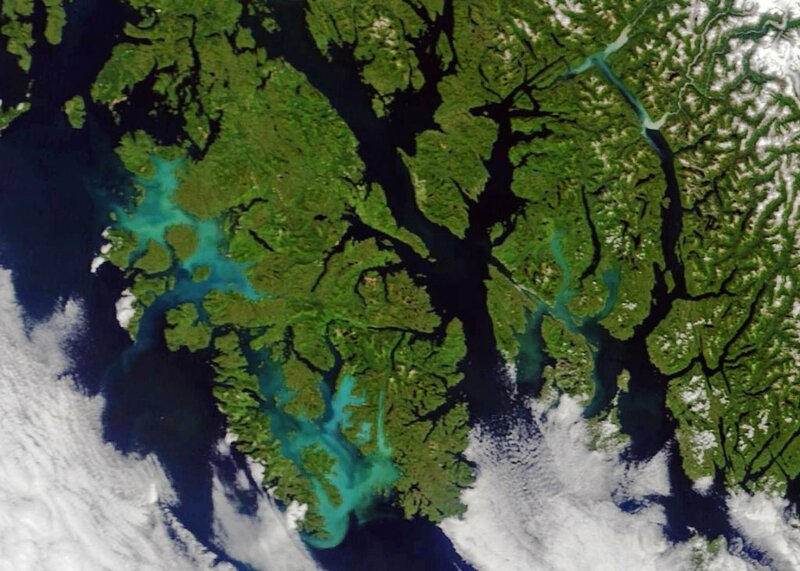 [02-Aug-18] This satellite image shows milky blue waters near Prince of Wales Island, Alaska. The coloration is thought to be caused by a bloom of non-toxic phytoplankton known as coccolithophores. It is most likely a bloom of Emiliania huxleyi. Coccolithophores have mineral plates made out of limestone, so they have a chalky appearance when seen from space. The image was acquired on 21-July by the Moderate Resolution Imaging Spectroradiometer (MODIS) on the NASA Terra satellite.